Choose from a selection of 7196 holiday rentals in Spain. Use the search form to the left to filter the results and pick your choice of self catering accommodation in Spain. 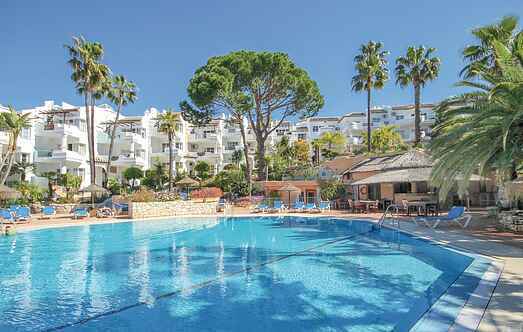 We have a good selection of holiday apartments in Spain perfect for family, single, romantic and group holidays. You may prefer to take a look at our listed holiday villas in Spain or holiday apartments in Spain. Find your holiday homes by a specific type using the property type drop down in the filter. Filter the holiday homes in Spain by a specific area using the area list above. This beautiful two-level, semi-detached holiday chalet with private pool and terrace with a barbecue grill, is situated in a very quiet area of the beautiful town of Humilladero. This is a homely and eclectic duplex Spanish apartment on the Costa del Sol located in the Mirador del Mar development. This beautiful holiday home in Alhaurín de la Torre, bordering the municipalities of Torremolinos and Benalmádena, is just 18 km from Málaga, the capital of the Costa del Sol. This lovingly-decorated and well-maintained Spanish villa is located in a tranquil residential area ideal for a family holiday, or two families sharing. This beautiful holiday home is ideal for your family holiday. The house is located very close to the beach and the great terrace is the perfect place for a barbecue with friends.